When I first began blogging, I did so for a number of reasons, none of which exist today. But the bottom line is: today, I wish I had done it right from the start. I decided to share my beginnings, what I learned from it, and how to start a blog in a way that places it on the path toward success from the start. 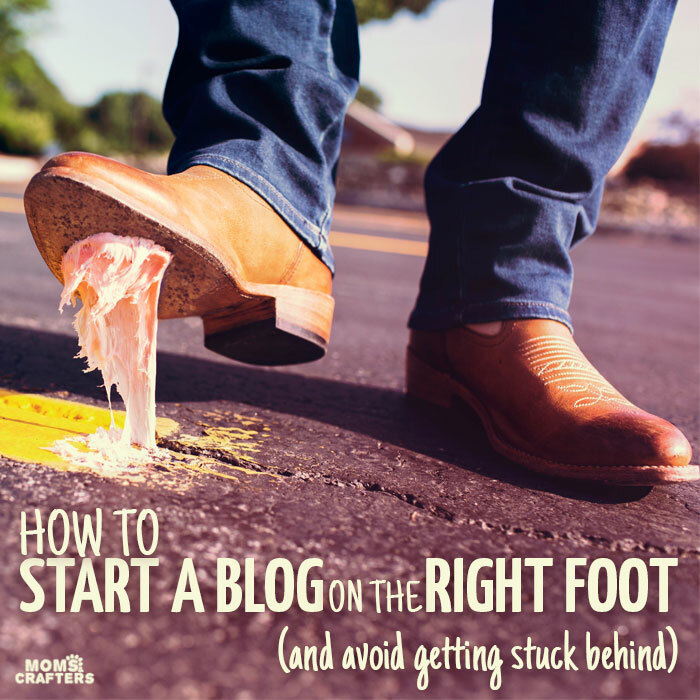 There are a number of reasons why a person might want to blog. I know some people who did it just to record their life’s journey, and to keep family updated. If that’s you, you can skip this as there isn’t really a right way to do it. I’m talking to those of you who want to blog professionally, earn money and commissions from it, or even just sell a product through it. A great reason to start a blog is to establish an at-home business, with minimal investment. Another great reason would be to sell a product for an already established business. But to do either of these, you need your blog to stand out among others and to really present a professional, helpful resource. It takes some time and some investment (although minuscule in comparison to starting any other business.) But it’s not as hard as it might sound. It started out on a whim to share deals on both baby and craft products when M was born, about two years ago. But it stopped almost immediately afterward, when I realized just how involved it was, and I deleted my posts. I kept it live, because I had always wanted to blog about jewelry making, and share some tutorials. I just never had the motivation. We moved to New York, and I was home all day with my then baby. I wanted to contribute to the household income and needed a way to market my handmade jewelry. I was told to blog. What I didn’t understand then was that it’s not instant: start a blog, sell jewelry. But that’s when I started a disciplined routine of blogging on various assorted topics, with an “Etsy mini” widget in my Blogger sidebar. Eventually, I learned a valuable lesson: I can help provide for my family through my blog itself. By offering the public my expertise and skills, I can actually help put food on the table. Now THAT is a great direction, and reason to start a blog. It took me about a year after I actually started my blog to start earning those first few pennies, and a year after I started consciously blogging to start bringing in steady (if small) income. But it doesn’t need to take that long, if you do it right. 1. Have something to offer, and offer that. Write what you know about. Big mistake #1 for me was that I started out without direction. Everyone has something to offer. It could be a talent, a unique perspective, or even just the ability to write a compelling article. Choose your strong point and focus on that. Your focus CAN and SHOULD evolve as things move on, but having a clear starting point can help you attract a relevant audience. Writing about something you’re an expert on will ensure that you put forth quality content. 2. Focus on quality, not quantity. Make each post have viral potential. Be your own judge, or get others to share feedback. Each niche is different and has a different timeframe. Start with fewer posts a week, but post regularly. I had that stage where I thought that I needed to post something every day, and the quality of my work really suffered. Spend more time on each post, it will go much farther than two lesser-quality posts would. Another mistake in this area was focusing on quantity of followers instead of quality. I wanted vanity numbers on my Facebook page, and in my email list, so I’d offer prizes and giveaways. While giveaways are a great reader incentive, they are not a great way to get active, engaged followers. Many of them just like the page for the prize, have no interest in what I have to offer, and never engage at all – which actually hurts my page. My energy would have been better focused sharing great content on my Facebook page, similar to my own content, so that people who want those types of posts follow me. It also pays to invest in a quality blog design and quality images from the start. It will only save you work down the road. 3. Write less, promote more, learn even more. Network from day one. Another big mistake of mine, as mentioned in number two above, was to try and shove out as many posts as I could. This not only causes quality to suffer, but it also neglects one important detail: promotion. Just because it’s out there, doesn’t mean anyone is going to see it. There are many ways to promote, but one of the best ways is to network. Networking with other bloggers (which I personally do via groups on Facebook) is a wonderful way to learn. You’ll gain valuable information about blogging, as well as ideas and opportunities to promote your content. A great way to promote from the bottom up is to tackle Pinterest with a set strategy. You don’t need a huge following there to get good traffic. I also highly recommend investing in a good blog planner from the start. It will really keep you organized, as well as give you the perspective you need to stay motivated when doing social shares. 4. Set aside an investment, and invest wisely. When you go into blogging thinking you’re starting a “free” business, you’re going to take much longer to earn money back. I did this and therefore refused to pay for hosting, refused to invest in CRAFTS SUPPLIES (which is rather sad considering this is very much a craft blog). Even so, I did eventually start, and payback started quickly. When you can invest in a decent camera (bonus points for a decent lens too), and learn how to use it. It will transform the reach of your posts! I wish I had done this sooner, but I needed the push of my dear husband to go behind my back and buy one for me. This leads me to my final “mistake”, and one that I’ve shared with many other bloggers. A self-hosted blog is one with its own domain name (as opposed to .blogspot or .wordpress) on its own website. You do this through a host. Almost every blogger I’ve spoken to has made the same mistake: they started out with a free account on another website. Then they moved to a cheap host, which blocked them from growing. Eventually they agreed to pay. Good, quality hosting for a small blog can cost about $10 a month (that’s the starting rate with my host, Black Chicken). You always need to pay an extra $15 a year for your domain name, and you’ll probably want to add the $10 a year for domain privacy so that your website isn’t listed at your home address. Many people want to make sure that the blog will succeed before paying for any hosting. The problem is, that then you do need to move the blog once it does succeed. This can be pricey, time consuming, and slow you down in the long run. People have also lost content and comments in the process, as well as traffic when redirects don’t go as planned. As far as starting with a cheaper, unlimited hosting plan: They’re NOT really unlimited, even if they keep promising that they are. You can read more about my experiences/nightmares, but it comes along with lots of aggravation of host downtime, lost traffic, blocked growth, and, in turn, lost income. All of this tends to happen at the point where traffic lost is income lost. While the limits set by hosts such as mine are scary, they do have a warning system in place when you are approaching your maximum bandwidth. It never happened to me. I have unfortunately learned this the hard way: if you want to start a blog for income, and to become a professional blogger, start it the right way. The next step? How to get started finding sponsors for your blog, and of course, bringing in income. 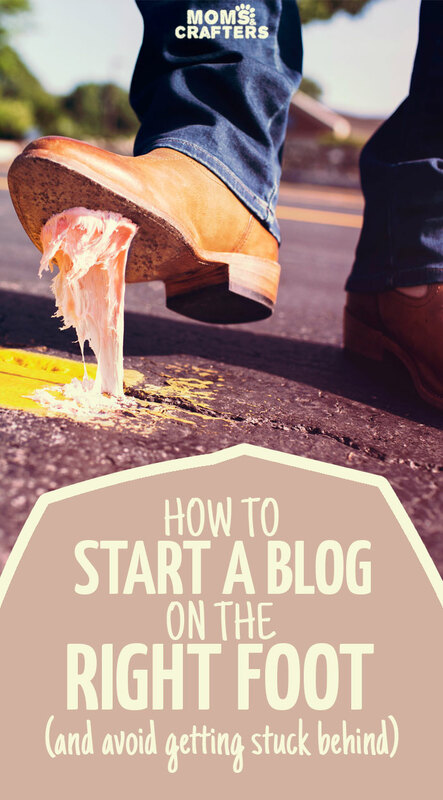 Do you want to start a blog? What is your motivation? Comment below if you have any questions, or feel free to reach out to me! 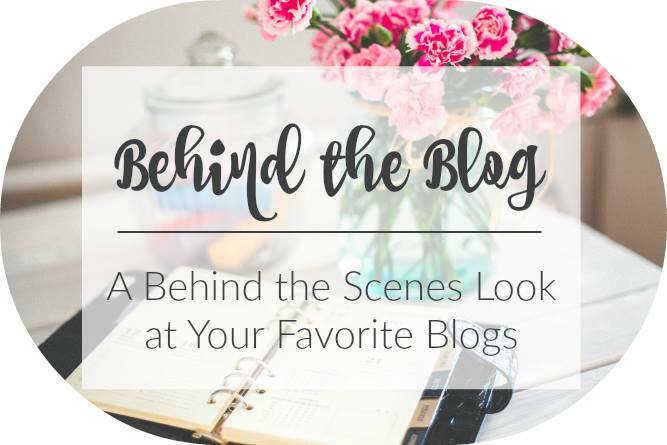 Check out the rest of the “Behind the Blog” series! 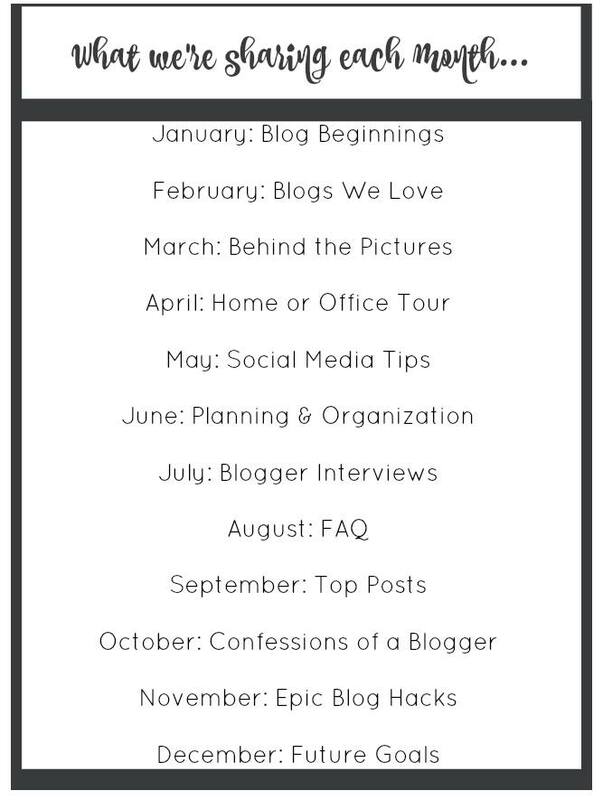 We are a diverse group of bloggers who will be sharing with you this year a monthly post about what goes on behind our blogs! Great advice! If only I had read something like this when I first started blogging. Wonderful advice here! I started my blog out of boredom, and it took me a LONG time to realize “by offering the public my expertise and skills, I can actually help put food on the table.” Now I treat it differently, and it’s going wonderfully, and it is SO much fun! So excited to get to know you this year as we participate in this series together! Same here – I am looking forward! It’s amazing what we can do with our blogs, without even realizing it, isn’t it? I love #3!!! I struggle with feeling like I’m not writing enough but you are so right… Each post also takes promotion! You are listing a set of awesome and helpful tips! Thank you for sharing your story! Oh my goodness, I am LOVING this series! So many of my favourite bloggers in one spot – Alyssa, Tanya, you! I definitely agree with all of your points and would also add setting aside a time budget for blogging, and also limiting blog time, as it can easily eat away at all of your “free” time and you also need time away from the computer to be well-rounded and creative. That is a great idea! I totally struggle with that still, but as I get into it, I’m running out of the choice to do so. It’s definitely not worth allowing it to swallow family time. Good advice! I am struggling with finding my niche but I will definitely find something that works the best for me. Pingback: Three Years of Blogging - How did it all begin?